Being born in 89, I really wasn't part of the MJ phenom. However, being the ubiquitous artist he is, I know the effect he had on music today (via influence & samples) so I felt it was only right to acknowledge. 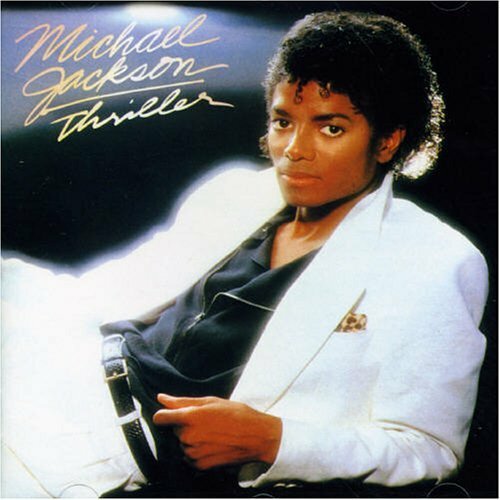 Sidebar: PYT is one of my favorite summertime songs. Last week I started "Send Proto your playlists". I am asking you, the public to send me your playlists via the comments & by the next Tue I will post a playlist w/ something from everybody. We're putting people on to new music. Along w/ this blog, I'll post the playlists on facebook & twitter. Since no one submitted anything (it's a growing process) I'll just give my playlist as of right now. 1) They are a pop group. 2) They are the Neptunes (Pharrell Williams & whatshisface)'s new artists. 4) They stay on hip hop blogs as the "when you need a break from rap artists". 5) Random cosigns from: Q-tip, Lupe Fiasco, Kanye West, Jermaine Dupri, Common, Lindsey Lohan & Ja Rule. The cd is in a nutshell: hip hop flavored surf-rock from Harvard graduates, which sounds awful, but it works mostly. 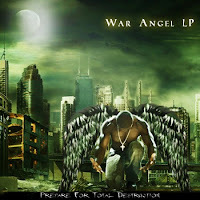 The best songs are usually combinations of rock guitars, synthesizers, hip hop break beats, along with D.A. Wallach's poppy vocals. Also, the cd switches from dramatic Portuguese, to surf rock/pop, to "Hey Ya! ", then country with ease. Though it shows the group's range, it is also the biggest flaw. The collection as a whole can appear to be pretentious and cheesy, in it's attempt to appeal to everyone. Lines like "Just another shorty w/ a fatty" & "[Kan]Ye said there'd be Drunk & Hot Girls" prove how at times they seem desperate to appeal to the hip hop base. Not to mention, at times Wallach's voice can be annoying and Drummey's production can be a little too quirky. All in All, the whole cd is full of hits and misses. Either the song are fun and catchy or just corny. However, it was definitely an interesting listen. As much as I blog about my hate of hipsters, from a first glace at me you would think I am one. Why? Do I wear Vans? - Never. Do I wear painted on Levi’s? – Levi’s yes, painted on, no. Wait- is that a G-Shock: Yes. Apparently, one of the hipster du jours are the colorful digital watches that came out around the eighties (Really anything colorful & 80s = hipster bait). Personally, I like G-Shocks. I only have 1 (black/green 2008), but I plan on copping a new one by Summer’s end that will set me back 99$. When you think about it, less than 100$ on a watch you can match w/ clothes makes sense. Also, the battery life on them are crazy. Not to mention, who can resist the whole futuristic retroisms of the design. If you have money to spend and you are looking for something to match your gear. Invest in a G-Shock and save the extra 69.99$ you would have spent on the J’s. It is a recession you know. Wale, one of the Freshmen XXL claimed was the future (before ex-Tim Horton doughnut cashier Drake was the next big thing), finally dropped his 5th official mixtape. The tape in 22 songs and loaded w/ guest appearances (ie Back to the Feature-duh). 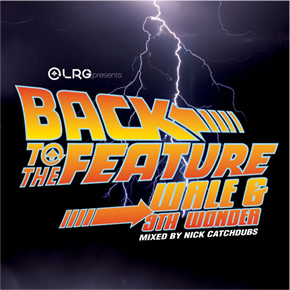 Wale's last two mixtapes, since signing w/ Mark Ronson (producer/pimp/dealer to Amy Winehouse) have become critically acclaimed and this one follows suit. Production-wise, 9th Wonder does most of the beats, which leaves the tape w/ a very 90's feel to it, with the samples & boom-pap drums. Also, the couple Mark Ronson beats are his best in a while ( as in not post Amy Winehouse sounding). The flaw of the tape may be it has too many guests. Sure Bun B, Black Thought, Lady Gaga, Beanie Sigel, Freeway, etc. sound good on paper, but it looses what made the last two tapes so good. They were mostly Wale just rapping. Here te amount of guests do not take the focus off Wale completely, but start to get boring after a while, if you're listening to the tape to hear Wale. Another flaw of the tape is when Wale tries to go catchy, rather than lyrical (a la Chillin'). Nightlife is a prime example of a song that probably was just made to give the mixtape a mainstreamish appeal, while leaving the real pop sensability for the album cuts. Overstuffing guests & poppish fails aside, the production is the best of all of his mixtapes & lyrically Wale is on par as "100 Miles & Running" or "The Mixtape About Nothing". So I'm driving off from my job so I turn on the local (NY/NJ) hip hop station Hot 97 & what do I hear for the 3rd time today (mind you I have only been in my car for like 1hr collectively today)- of course "You the you the best/ Best I ever had, Best I ever had". I'm used to that now, so I turn to the other hip hop station (105.1) & what do I hear? yup that same awful song. I actually turn to Top 40 radio & endure Lady Gaga singing about riding the "disco stick", to avoid this song. At least that's over...so I think, only to turn back Hot 97 to that one mixtape song from that hipster chick bait of a mixtape. Really Hot 97? You're on this guy's "disco stick" (apparently that's the new "lollipop") so much you're playing mixtape cuts?! Then, no lie I deal with the song, then turn back to 105 to "And we like her/ And we like her too". That was the last straw: This greasy bodega looking, child soap star, Vanilla Lil Wayne needs to be stopped. I am calling out to any guy to tell me honestly, what is the big deal?! I can see the mindless Plies/Bow Wow audience falling for him, but grown men?! This has gone too far. Please step up your standards people. Brainstorm: In order to establish a relationship w/ my future readers, from now on every Teusday (new release day) I will be making playlists of all the submitted playlists by you, the readers. So from now until next Mon., send me your playlsits at the moment, I will evaluate, then I will post a collective playlist next Tues. Its like how you try to put your friends on to new music, well just think of me & the future readers as your new freiends. Whaddup. For all of you that don't know who the hell Max B is & why he his a trending topic on twitter, he is an awful mixtape rapper/singer who was convicted for masterminding a robbery turned murder last week. (If you really wanna know his highlights google "she likes to play on the side kick ooww lol) He also used to be Jim Jones' spare cavity a while ago & even traded his publishing away to him to get him out of jail the last time. The topic of this post is to just make one thing clear; he deserves what he got. He orchrestrated what turned out to be someone's murder & he deserves to pay for what he did. T everyone saying free Max B, because they like his "music" they really are deluded & need to grow up. All jokes aside the H1-N1 bka swine flu isn't showing signs of stopping. It's recieved the pandemic title and Rutgers New Brunswick has even reported 2 cases. While Google still lets me control this virtural soapbox (I know who butters my buns -pause), I just want to tell everyone to be careful, wash hands, & don't put yourself in situations you shouldn't be in. Some artists fail because they try to be something they're not (see: 50 Cent circa 2007) while others do well playing off their strengths, rather than dwell on their obvious weakness (See: Plies's surprisingly long shelf life). The Black Eyed Peas began as the prototype 90's backpack rap group & (let's be real) slowly sold out to become one of pop's biggest groups today. In this cd, they finally tell hip hop to rot & die & embrace electro-euro-pop for an interesting listen. Other than "Boom..." & "Imma Be", with all the euro-disco beats, screwed vocals & autotune, the cd is pretty much Daft Punk's Discovery 2009. I am not saying it is a bad thing, but it is far from hip hop. That aside if you're into raves, glow sticks, synthetic narcotics & anything else associated with euro-disco, this is your soundtrack. If not you'll probably end up listening to all the songs for a min. (as opposed to all the way through). If you're big on Pop go ahead it really isn't the worst thing ever, but I would suggest you'd buy Daft Punk's Homework. You'll get the same effect as well as hipster points, & the pop crowd loves hipster points. The "real hip hop heads" can be some of the most obnoxious residents of the internet. Along w/ Southern Rap & Hipsters, they claim you can't be really into hip hop if you haven't heard certain lps; Jay-Z's Reasonable Doubt, Nas' Illmatic, Biggie's Ready To Die, etc. However, as time goes by & those lps get older, it means younger listeners have to listen to dated music as their classics. I decided to periodically review old cd's that have been called classic to see if by today's standards they are that good. One of the few cd's that has come out relatively recently that is claimed classic status is Kanye West's debut The College Dropout. To be honest classic is thrown everywhere these days, but this cd fits that title, but for content more than actual artistic quality. Content-wise, the cd tackles a lot for a 2000's lp. Issues like how important is continued education really is, employment, racism, materialism in hip hop, gold digging women, ethics of providing for family by legal vs illegal means, and more. Not to mention almost every beat on this cd is good, original (as sampled beats get) & actually affected hip hop after the release (sampling, string arrangements & even autotune on a rap cd 5 yrs ago!). The problem with the cd is Kanye West, at that time was a average rapper (today he really isn't the best, but he's def improved). It kind of feels mixtape-ish when there are so many guests & interludes on a cd. Then when Ye finally raps, he really doesn't even rhyme a lot of the time. (you know when rappers use accents to make thing rhyme like do' (Door) & wo' (Wall)). To sum it up, the cd as a whole is great musically, filled with substance, and was groundbreaking. It's just if it came out today, it would be a hipster/backpacker fav, but that's about it. Aubrey Graham bka Drake is apparently the hottest new artist in rap right now. Girls like him, Dudes like him, even I don't think he is without his talents. Also, he played a character on Degrassi, which says a lot if you can from a teenage soap opera star (in a wheelchair nonetheless) to a respected rapper. I figured with all of the buzz of his song "Best I Ever Had" I would give the mixtape a listen. First, I had the preconcieved notion that he was just some pop-rap little wayne knock-off, because of the single, but listening to the mixtape...I was right. This mixtape def is appealing to the ladies (even when he isn't singing) & "hipsters" ( covering songs like Kanye's Say You Will & others from Santigold, Lykke Li & Peter Bjorn & John as well as the dark, 808s & Heartbreak-esque synth beats). One thing can be said though, he can rap. He isnt the best in the world, but he has talent. What ruins this tape for me is 1) the signing w/ and w/o the Autotune. He has an alright voice, but it is a very POP voice. The ladies will eat it up, but what guy really wants to hear that. 2) Since I can't stand Lil Wayne, his appearances, not to mention Drake's flow are constant reminders of Lil Wayne. Those things aside,I was expecting worse. Ok, so before I start reviewing (trashing) anything, I guess its appropriate that you know my taste, so I think I should review 5 songs you need to hear, because they are so good or the equivalent of recording a bowel movement(in no order). After this I'll be giving my opinions/reviewing upcoming aspects of music & current culture that interests me. 1. MF DOOM - Rapp Snitch Knishes: In my opinon Daniel Dumile (aka MF DOOM, Madvillain, Danger DOOM, Viktor Vaughn, Metal Fingers & King Geedorah) is one of the best rappers/ hip hop producers ever. I would seriously recommend googling any of the aformentioned monikers. That aside, the song has the best rap chorus (& probably the only chorus of DOOM's career)of the 2000's, crazy/ funny lyrics over a looped breezy guitar solo & bass & drums. It's really that good. Too bad Doom only raps on the 2nd verse. 2. Lupe Fiasco - Kick, Push: I am not a skater, I have never wanted to skateboard, nor have I ever wore a pair of Vans a day in my life (nor do I intend to), but this song is just cool. Its one of those story telling songs, about a skater guy who's pretty much a reject falling for a skater girl (of which I assume she's no stranger to knee pads) over chilled out horns and synths. Def one of my favs. 3. The Diplomats - Push It: This is one of the worst songs ever. Cam'ron is one of my fav rappers, but damn this is awful. Think 4 grown men not even rhyming, talking about "dookey love", "ra ra na na ha ha I keep that blam blam" & quoting "Me so horney" over Salt N Pepa's "Push It". It really is worth a listen, because it's so bad. 4. Soulja Boy - "Turn My Swag On": What the hell is he saying? Other than the chorus the song is just 3:26 min of a dilluted teen spewing random cliche's w/ an incredibly bama-ish (country) sounding accent. Easily the most obnoxious ringtone (no one listens all the way through) ever. 5. Chester French - "The Jimmy Choo's": This is very left of center from what I usually listen to, but for pop/rock I really like it. Though the singing lasts for like 2 min. the guitars, organs, and synths make the song. Cool song, especially for the summer.